I think I was in class seven when my friend Dominica gave me a handful of cherries from her backyard tree during snack break. And ever since then I was hooked by the colour, taste and flavour of cherries. Back then, cherries were not easily available across the country, like they are now. 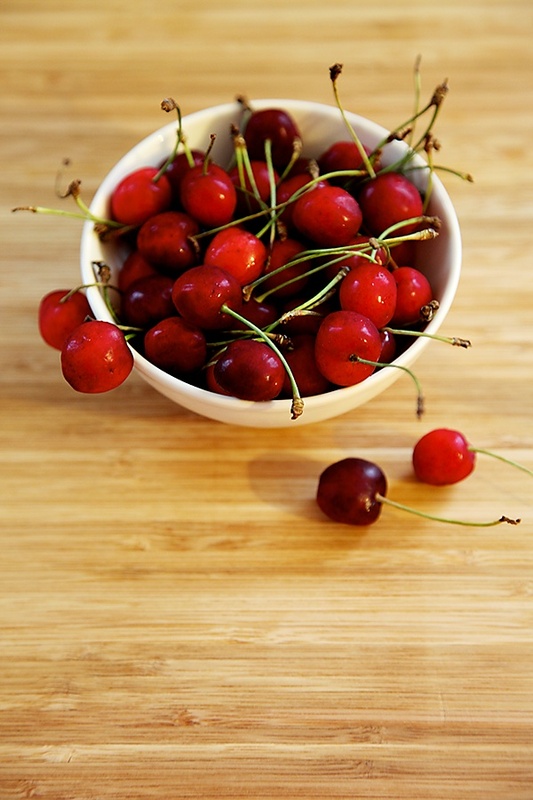 And I take full advantage of all the beautiful seasonal cherries that are easily accessible these days by snacking on them and also by cooking and baking with these marvelous beauties. 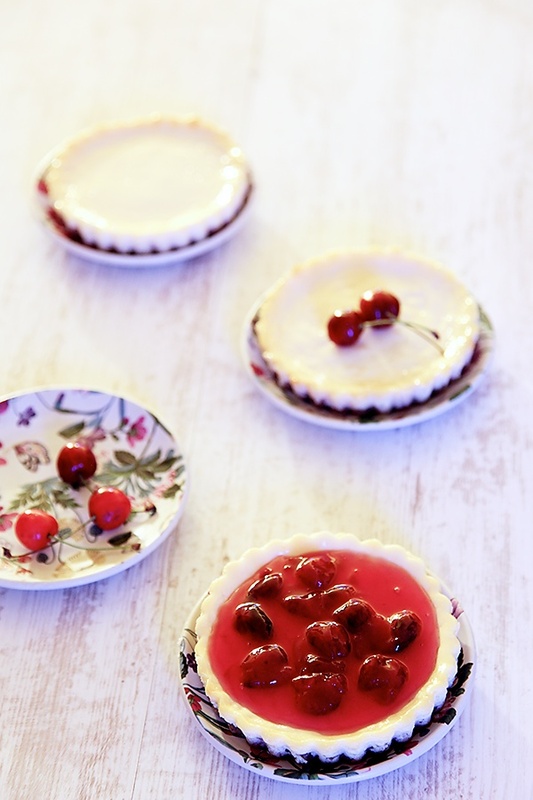 I have been making many variations with the base of this yogurt tart for years together and this time this wonderful yogurt base is accentuated by the crust and the beautiful sauce made with seasonal fresh cherries. The crust of this recipe is from an old favourite of this space, my vegetarian strawberry cheesecake and its been quite a favourite with the regulars of this site. 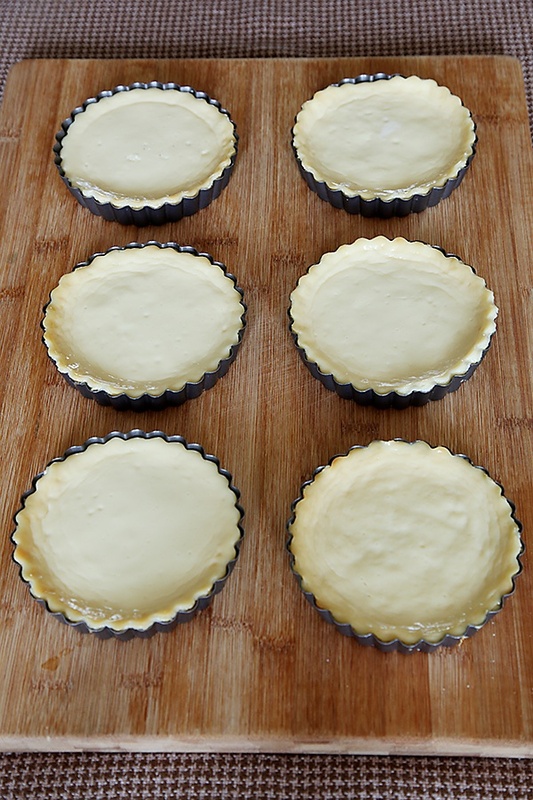 And if you are one of those, who finds the process of making tarts quite daunting, then you can just fill up the yogurt base into ramekin moulds and bake. There cannot be another dish, easier than this to make and at the same time be so elegant and delightful. 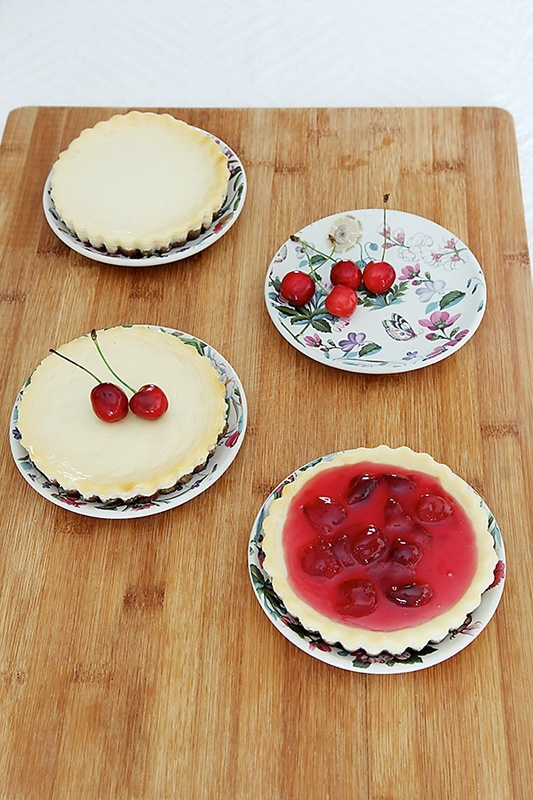 These tarts can be served straight off the oven or warm, at room temperature or chilled. Each way of serving will have a different impact on the tastebuds. 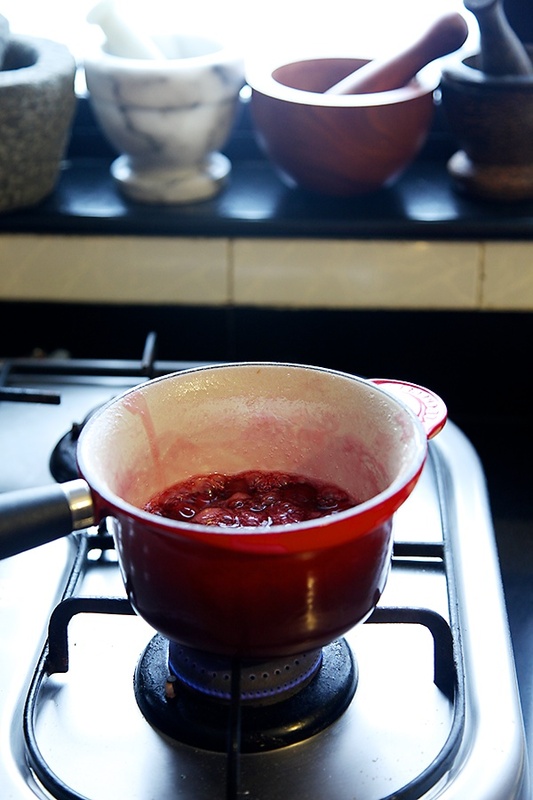 And they can be devoured plain as they are, topped with seasonal fresh fruits or with this magnificent cherry sauce that is a breeze to make. This stunning dish is an old family favourite that has never failed to impress whoever I have served it too. It is quite simple yet so comforting and wonderful to eat after a meal or in-between. 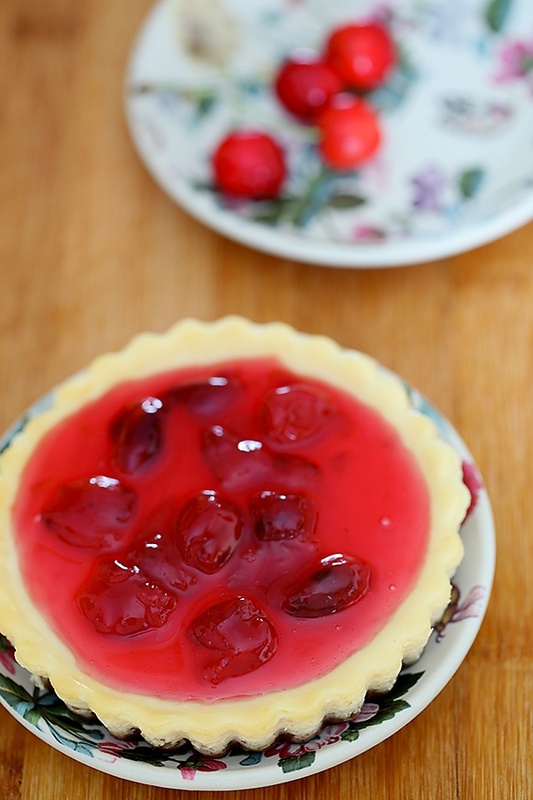 This tart can be served plain or with the fresh cherry sauce. Either ways, it is equally delightful. Place the yogurt in a cheesecloth over a strainer and allow the excess water to drain overnight or for atleast 4 to 5 hours. 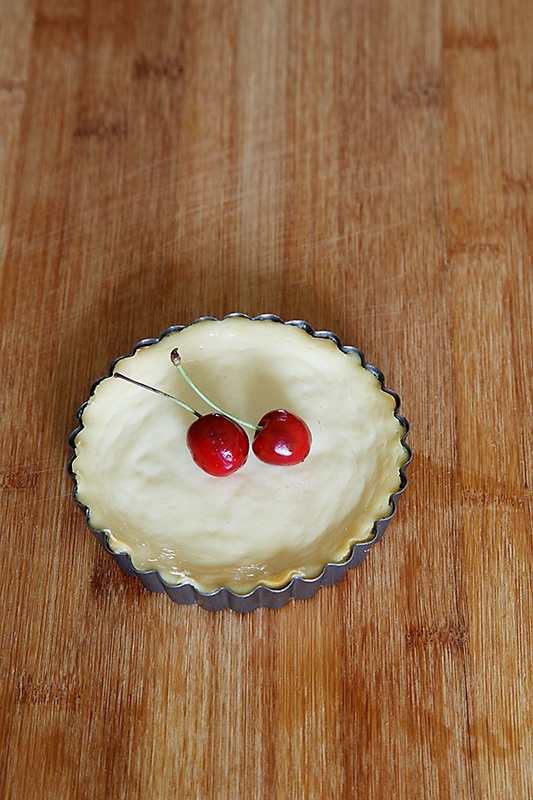 In a bowl, mix all the ingredients for the base and press into 6 tart moulds. In a bowl, put in the condensed milk, strained yogurt and cream. With the help of a whisk, mix together until smooth and creamy. Pour the yogurt mixture into the prepared crust. If you have remaining yogurt mixture, you could pour it into ramekin bowls. Bake in a preheated oven at 160 degree centigrade, 325F, gas mark 3 for 25 to 30 minutes or until set. 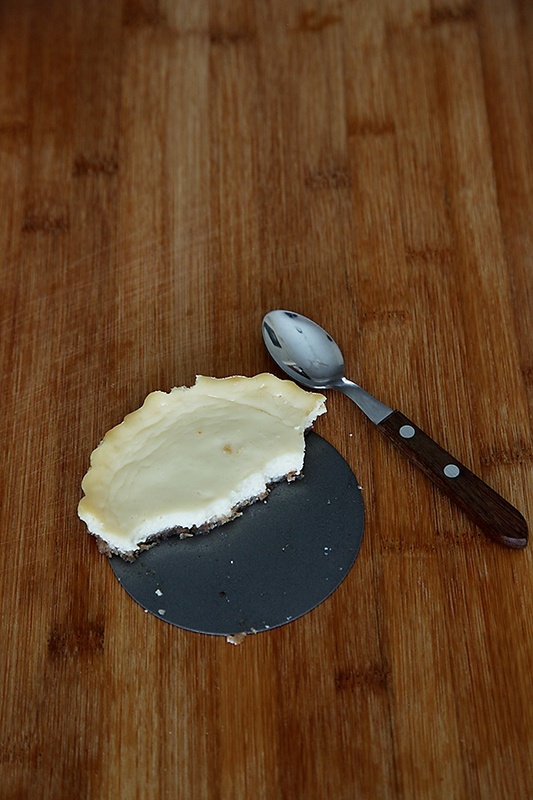 You can keep the tarts a little longer if you want a browned top which tastes delicious! 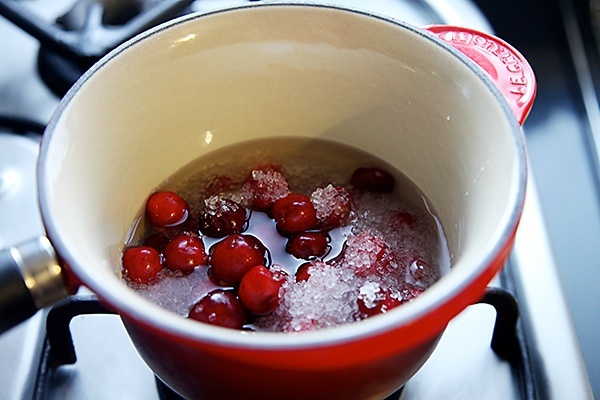 In a saucepan put in the cherries, the sugar and the water and bring to a boil. In a small bowl, put in the cornstarch and the 1/4 cup water and make a smooth paste. Cook until the sauce becomes, thick and smooth, about 4 to 5 minutes. Thank you for this recipe! Please could you suggest a substitute for condensed milk? Thanks again. Simply divine and the combination of baked yoghurt and a delectable cherry sauce. Slurp! I don't get cherries easily where I live, though. What a beautiful tart Anushruti.Will try it soon.Can we use other fruits also for the sauce using the same recipe like peaches or apricots? Thanks for the lovely recipe. Angel- I'm so sorry angel, at this point in time I can't give a one on one substitution. But, I can post another recipe without using condensed milk. June- So glad you liked them! Himani- Yes, you can use any other fruit of your choice. Tried the recipe with evaporated milk; in ramekins and it came out well. Thank you. Angel- Thanks for the feedback! Feeling hungry now, awesome recipe you shared to all readers, I can try to cook this recipe. Bhumika: I have used plain flour. But you can also use whole wheat flour.